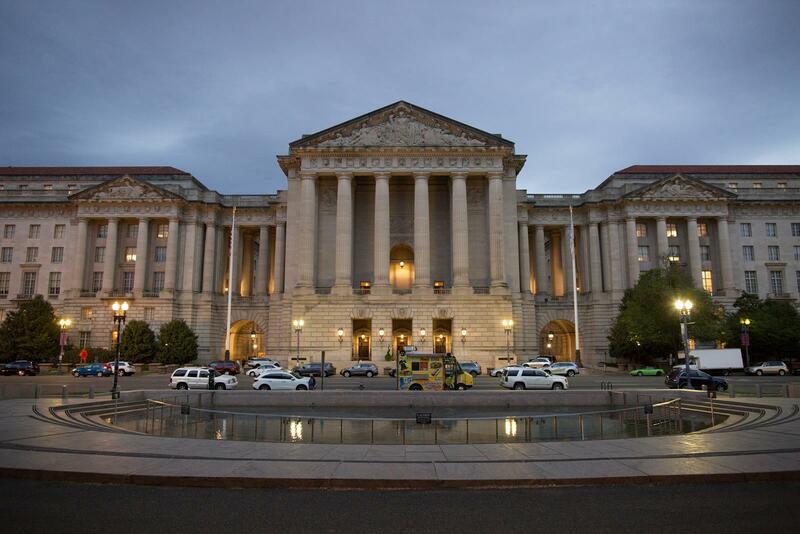 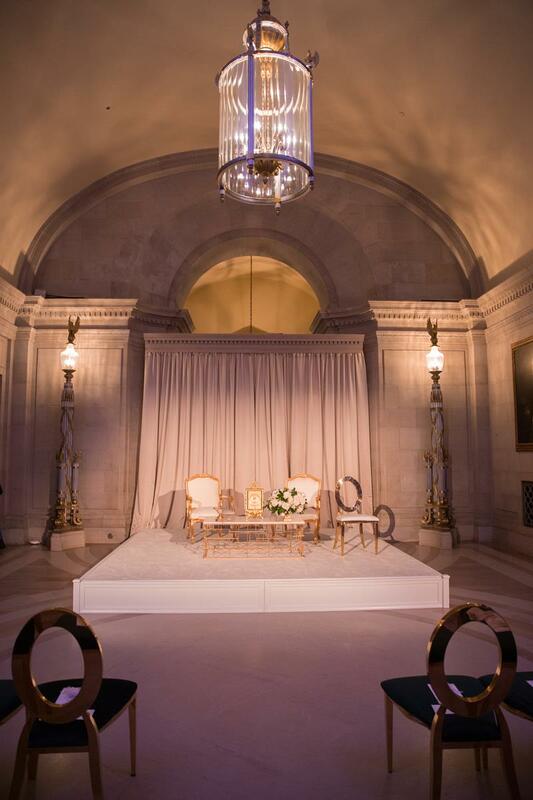 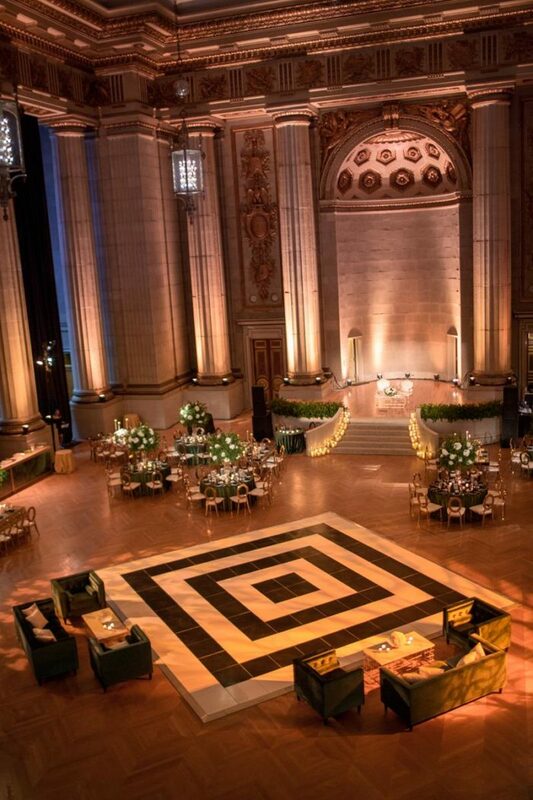 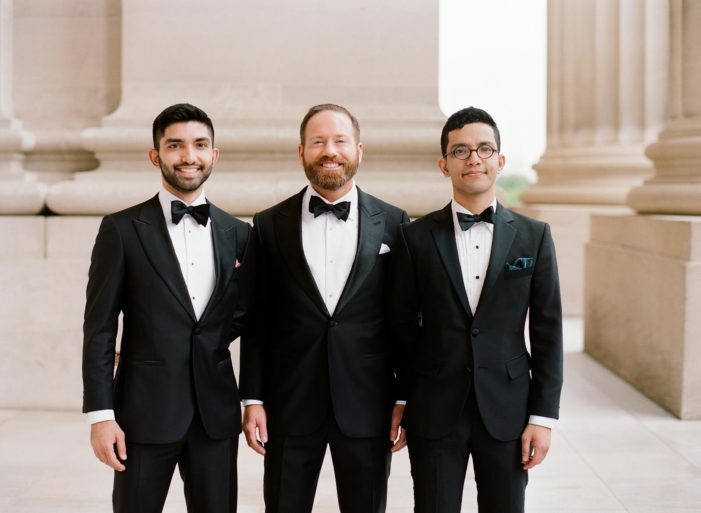 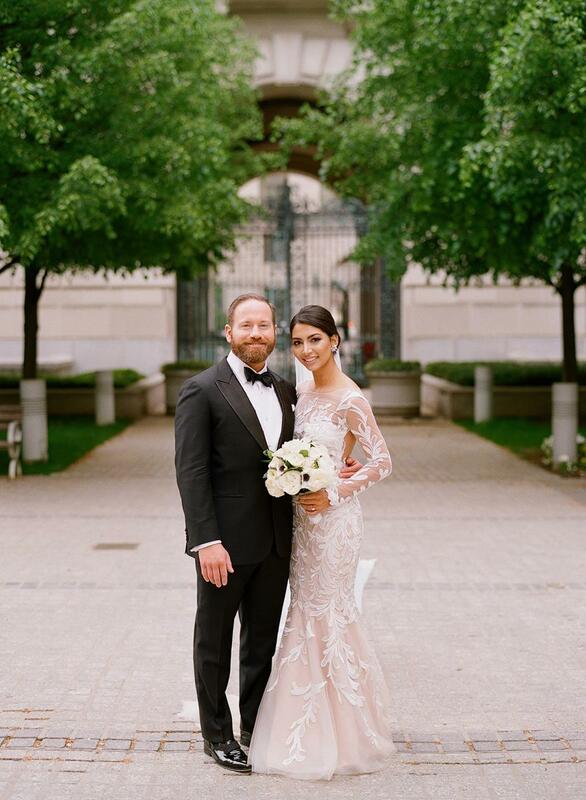 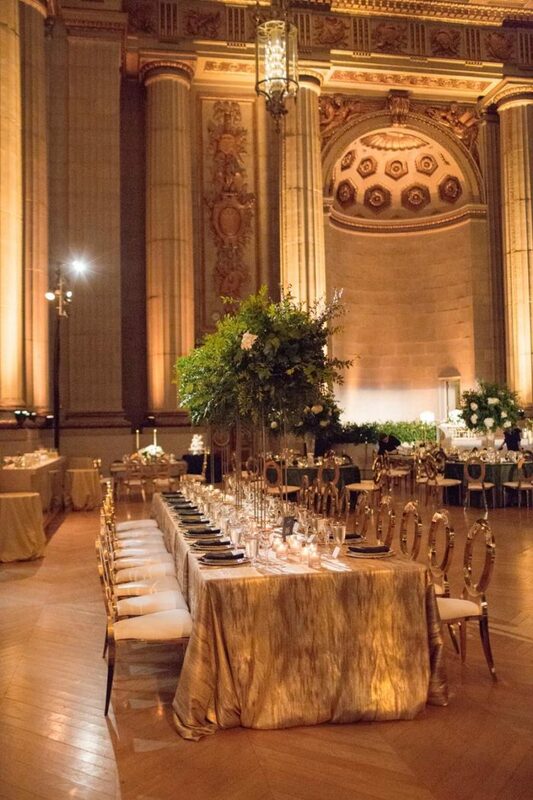 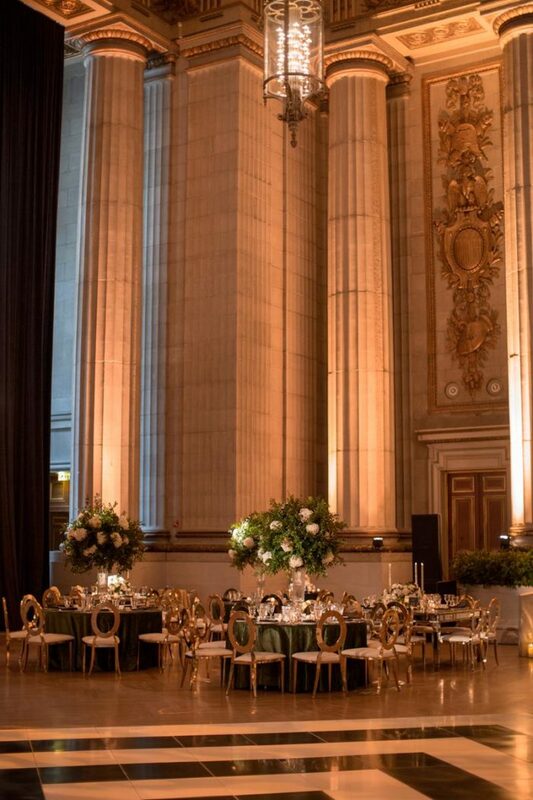 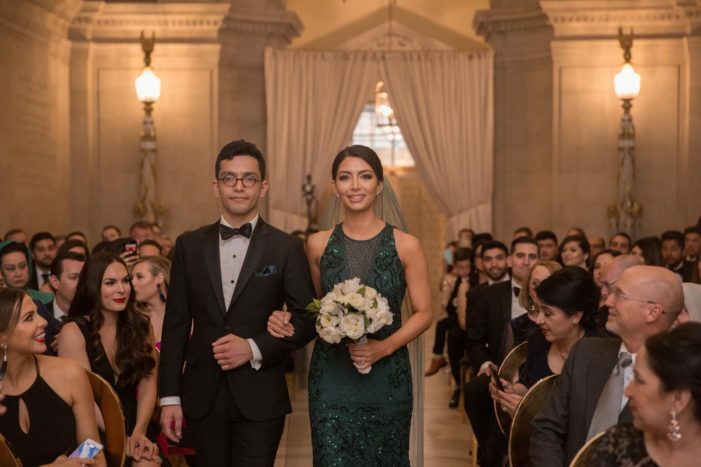 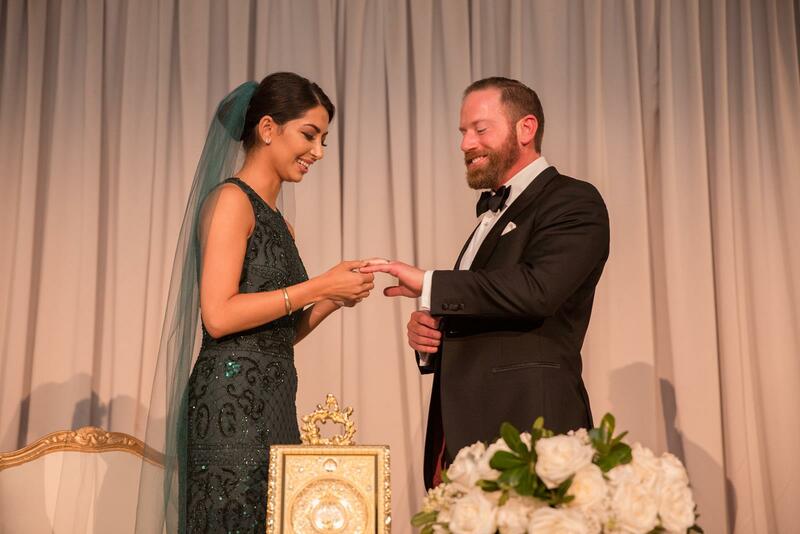 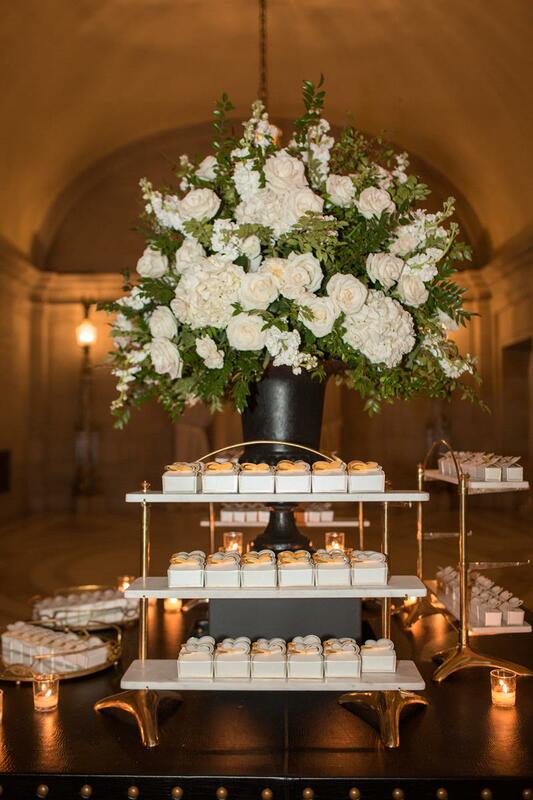 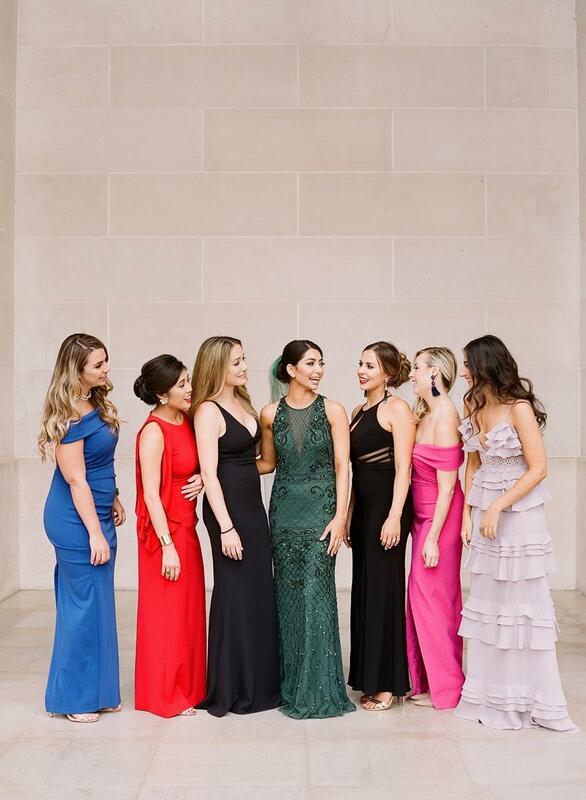 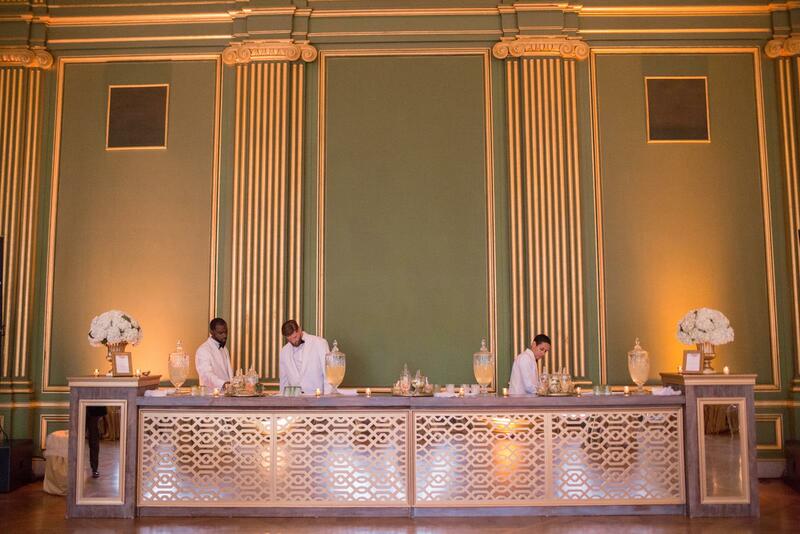 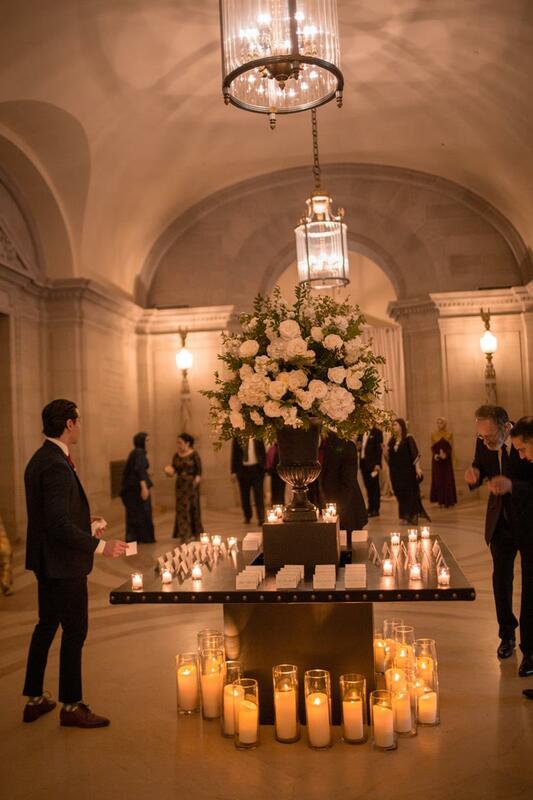 Homaira and Drew’s multi-cultural Afghan wedding was held at Mellon Auditorium. 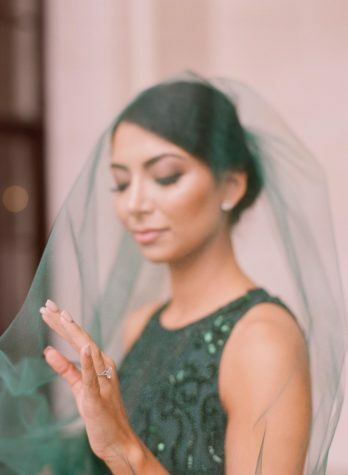 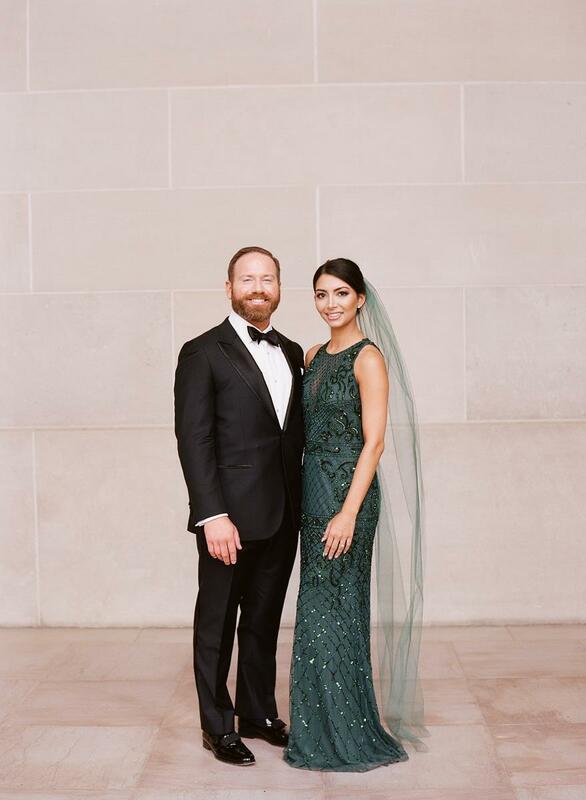 For their ceremony, the bride chose a stunning emerald green dress and veil. 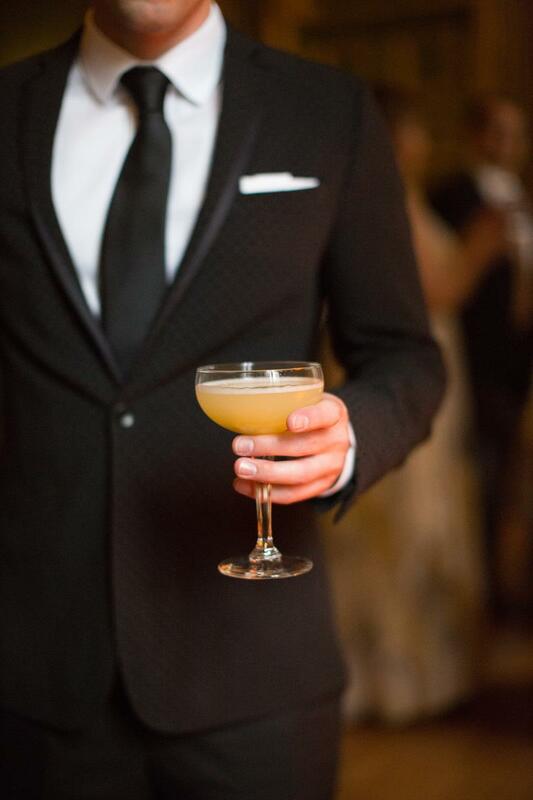 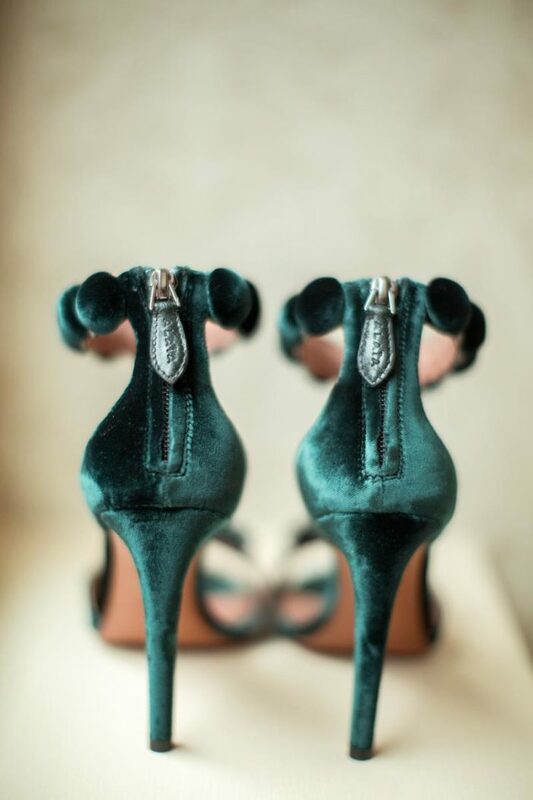 She paid this with green heels while the groom opted for a classic black tux. 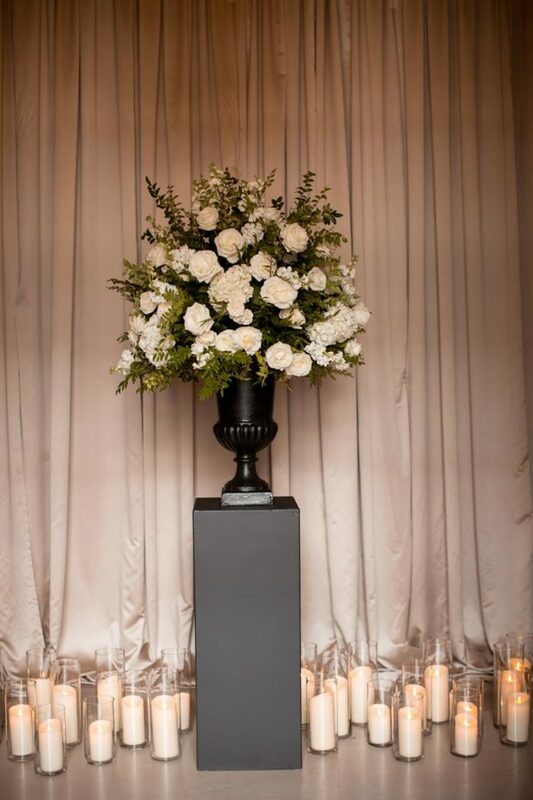 As guests arrived at the DC wedding venue they were greeted by an over-sized floral arrangement. 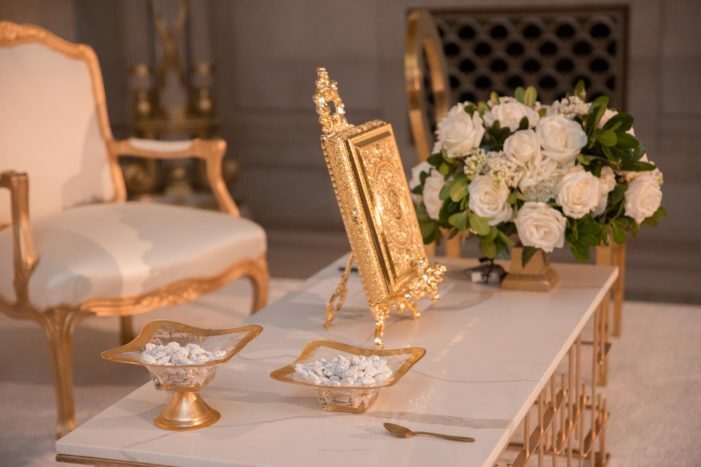 Said arrangement was surrounded by candlelight and traditional sweets on each of the gold ceremony chairs. 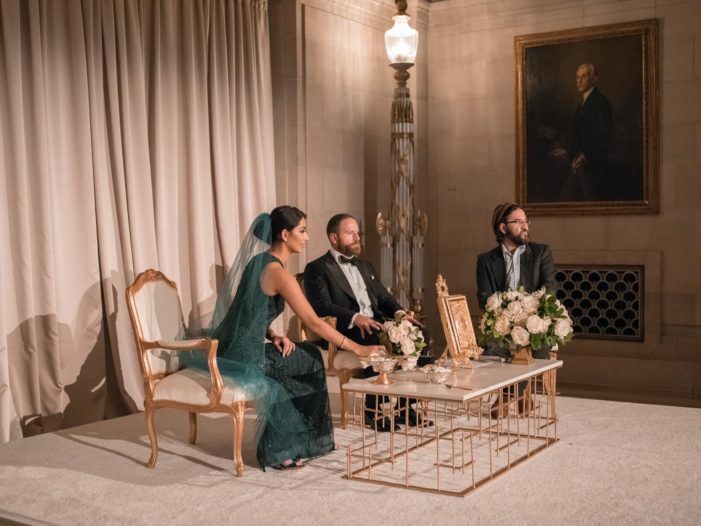 After the ceremony concluded, guests were ushered to the Green Room where they enjoyed traditional music played on a Sarod, stringed instrument, along with appetizers and specialty cocktails. 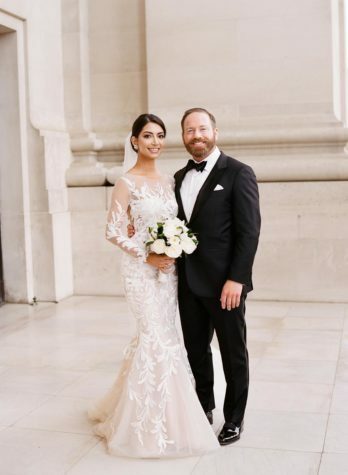 The bride then changed into her traditional white wedding dress to wear for the remainder of the evening. 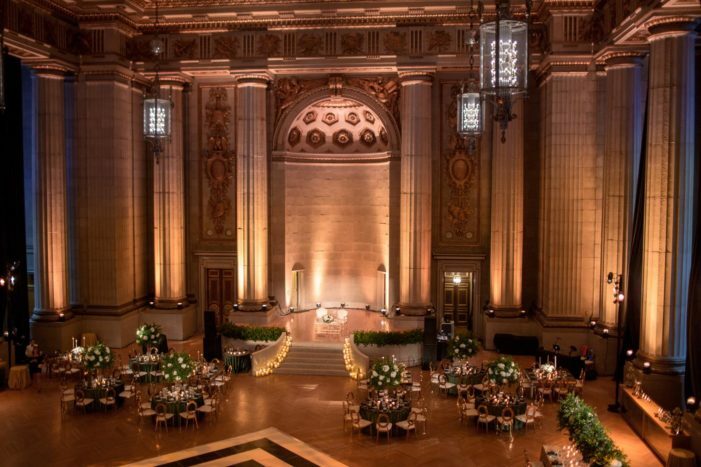 Cocktail hour ended and guests were escorted to the Main Hall to be wow’d by the beautiful architecture of the tall ceilings and grand columns. 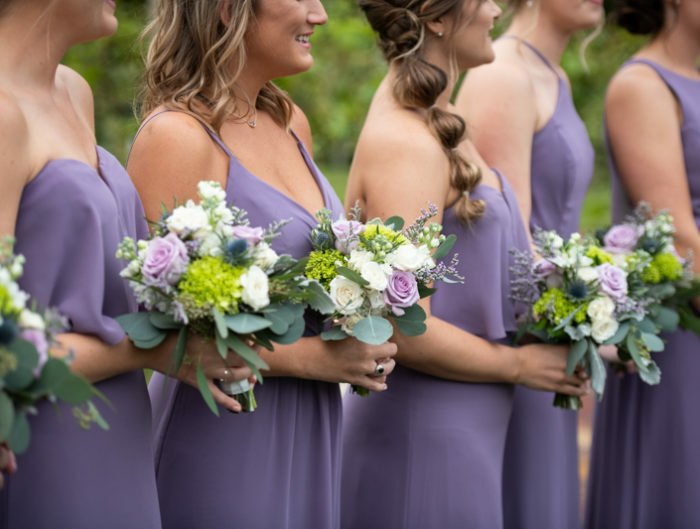 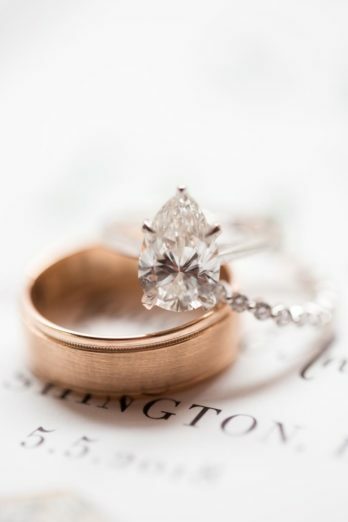 It was important for them to have a unique, modern and clean feel throughout their wedding day. 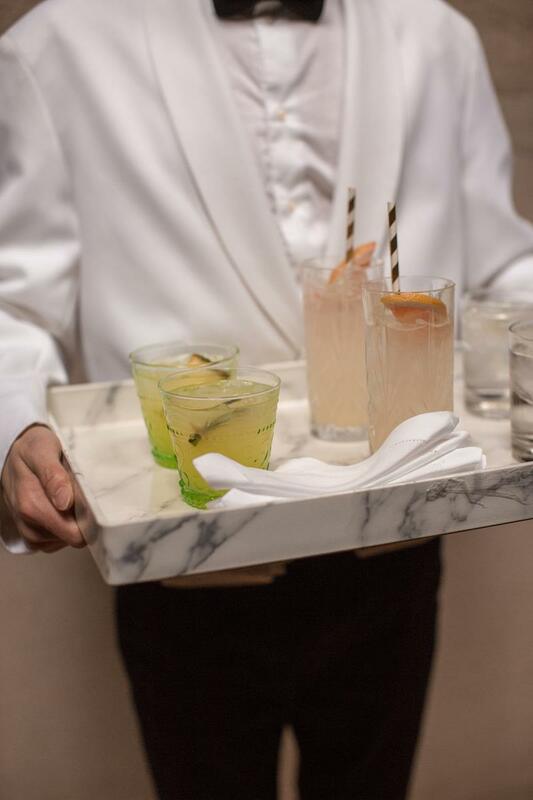 We certainly think they delivered! 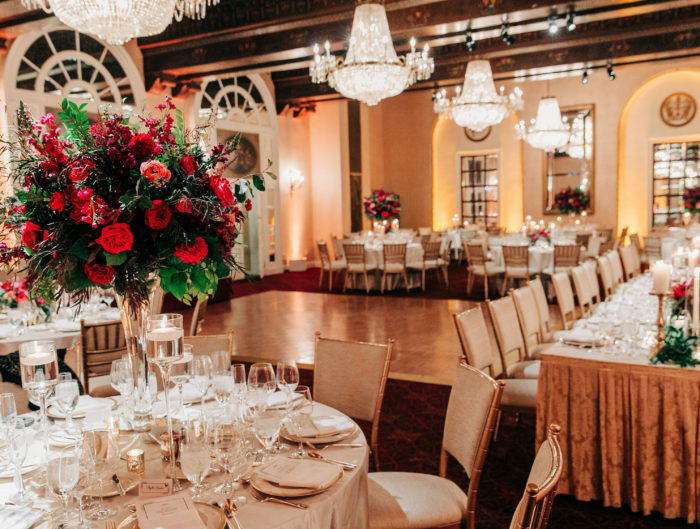 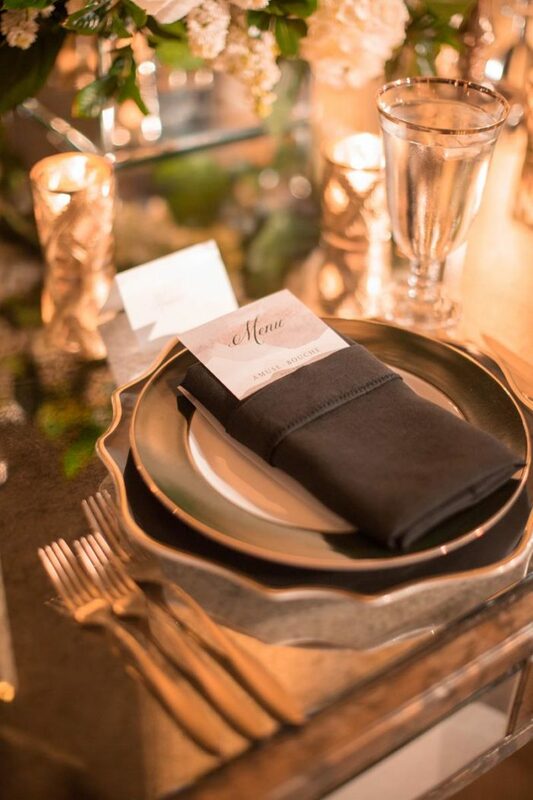 A black and white dance floor was the centerpiece for the room; while tables covered in green velvet linens, surrounded by shiny gold chairs and topped with gold utensils, black and gold base plates and custom menu cards were placed around the space. 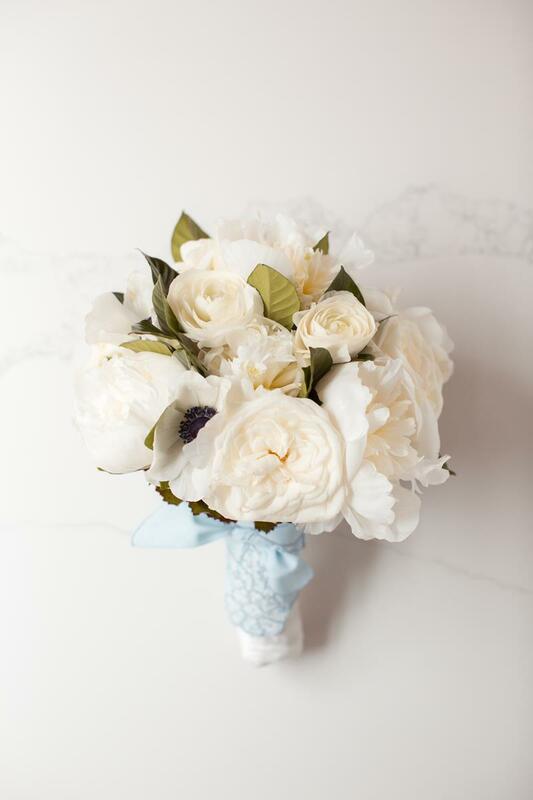 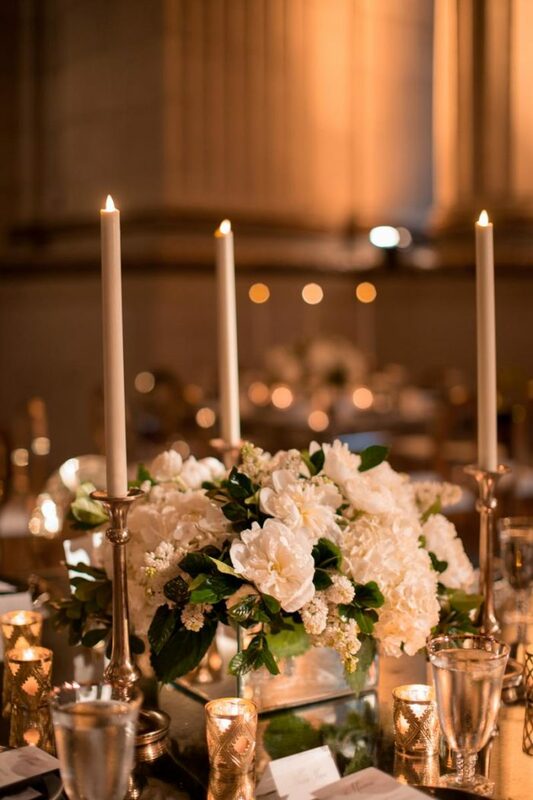 Centerpieces complimented the overall look and feel; they included greenery, white hydrangea, ranunculus and peonies. 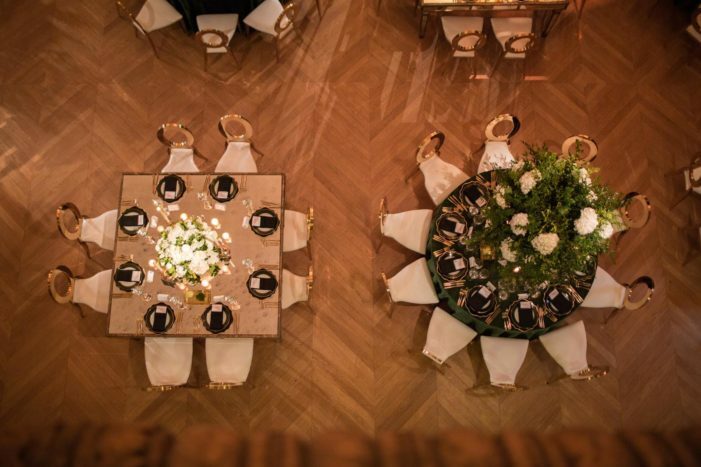 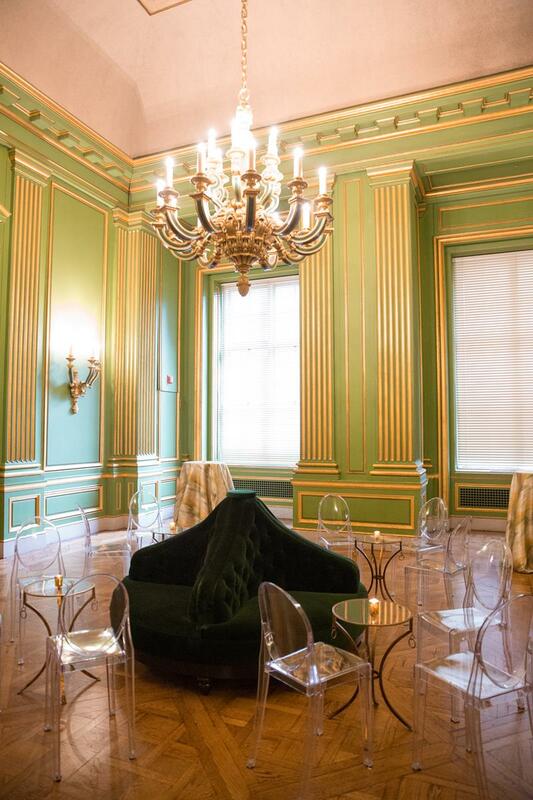 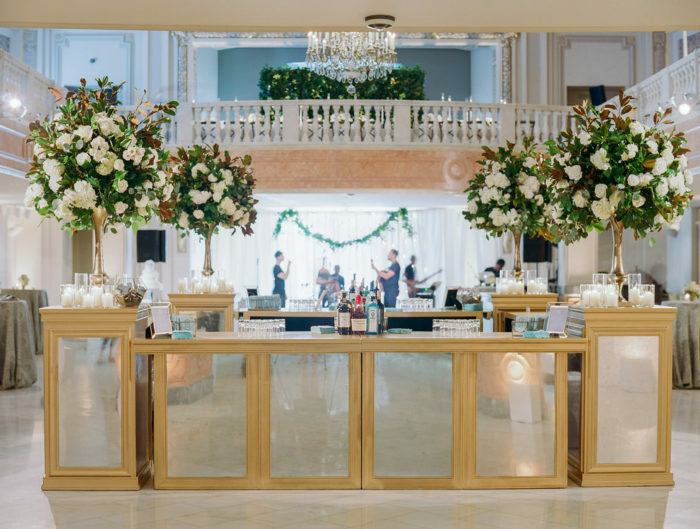 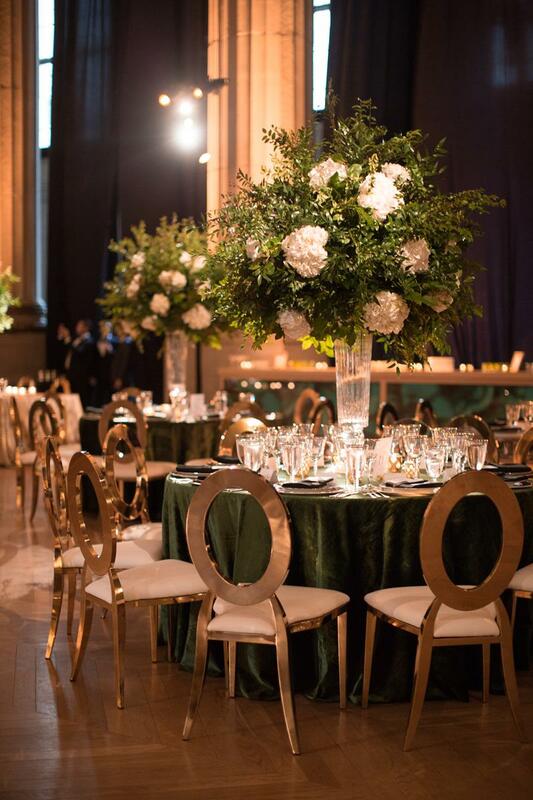 Gorgeous deep green furniture with gold coffee tables surrounded the dance floor. 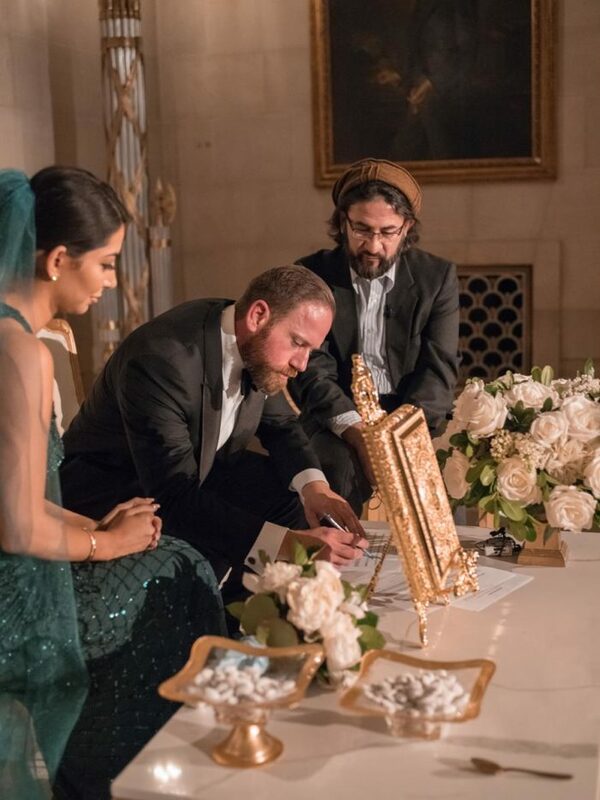 Guests danced the night away to both American music and Afghan music. 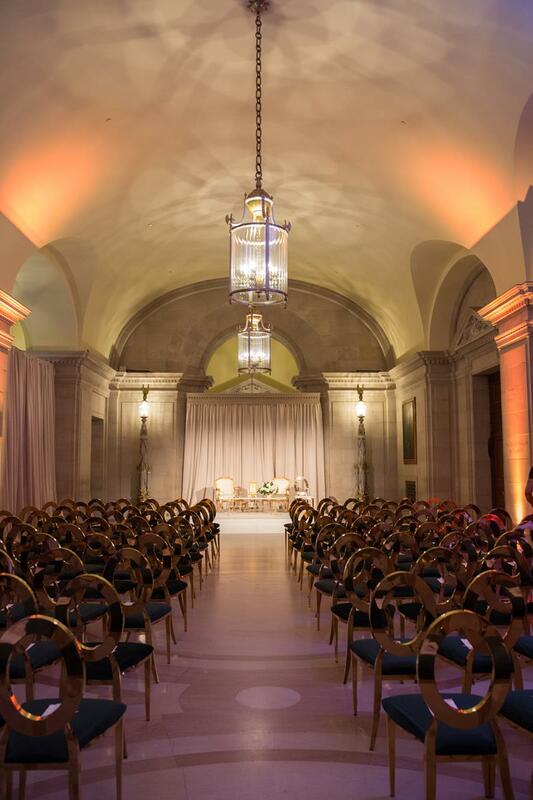 Thank you to CG & Co Events for sharing this wedding with us today.